The anti-American, anti-Semitic activist jihada, Linda Sarsour, was a scheduled speaker at the annual convention of the Islamic Society of North America (ISNA), in Houston, Texas. Last year, she called for jihad against President Trump and this year, she warns her "sisters and brothers" to avoid the trap of "humanizing" the Jews. Born and raised in a shame-honor culture by "Palestinian" parents who made hijra to Brooklyn, New York, her messages, unsurprisingly, are directed against America and Israel. Regarding the former, her words, "it is not our job to assimilate," received applause from the audience. Regarding the latter, she insists that only extermination will suffice. Her diatribe was designed to shame the attendees into vigorously supporting the Palestinian cause for the total destruction and Islamic replacement of Israel. Any dialogue is discredited as an indication of weakness and perfidy towards Allah. Islamic ideology specifies that holy war is a religious duty because of the universalism of the Muslim Mission and their obligation to convert everybody to Islam by either persuasion or force. Sarsour's purpose and rhetoric, intolerance and death, are as old as Islam itself. Kitman – Lying by omission, as when Muslims quote verse 5:32, that if anyone kills, "it shall be as if he had killed all mankind," while omitting the rest of the mandate to murder in undefined cases of "corruption" and "mischief." 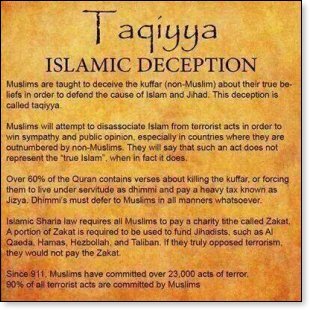 Tawriya – Intentionally creating a false impression, such as "Hiding Faith," when Sarsour bills herself as progressive, and claims that gays, women, and religious minorities need not worry about sharia; and the deceptive Muslim outreach programs to local citizenry. Muruna – "Blending in" by secreting some practices of Islam and sharia in order to advance others. The 9/11 hijackers visited bars and drank alcohol to throw off suspicion that they were fundamentalists plotting jihad. To the devout tyrannical Islamic belief system, where the majority of their people is kept illiterate and underdeveloped in terror- or trauma-bonding, Israel's accomplishments and prosperity during the same 70 years (since Israel's statehood, 1948) are seen as an affront, an ever-present reminder of Islam's deficiency. 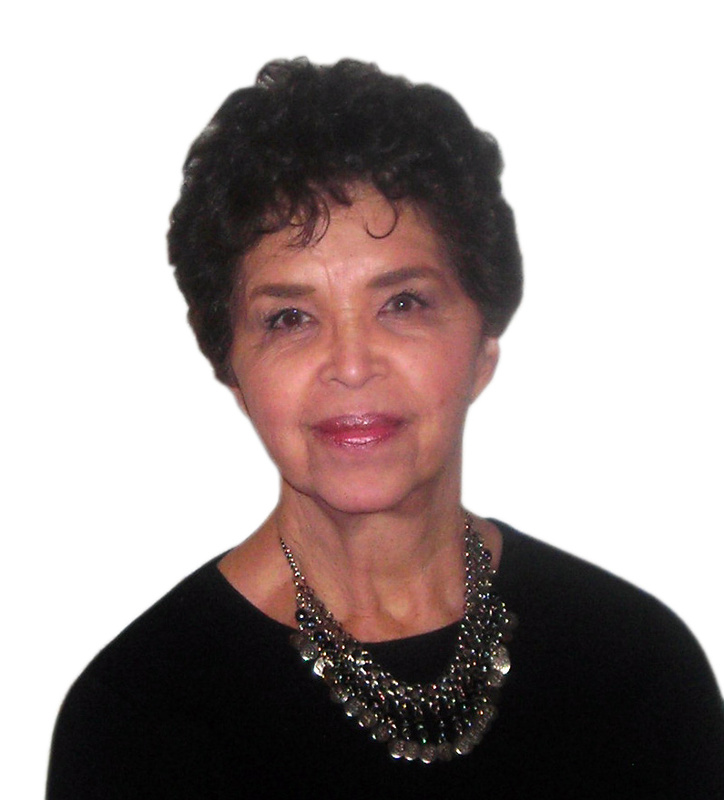 They are humiliated for not being self-sufficient, of relying on booty for wealth and on others, including the despised Israel, for funds, utilities, water, and jobs. In their shame-honor social order, they project the fault on others and feign ownership of what is not theirs. This is a people that took their "Arabic" numerals from the Hindu numerical system, cryptography from Egypt, and their coveted arches from Egyptians, Babylonians, Greeks and Romans. Ignorance and envy have led to self-deception and the desire to deceive the rest of the world, like the dying Pharoah who resented others the joy of living. The invention of the term, "Islamophobia," is a potential game-changer. Developed by the Muslim Brotherhood developed "Islamophobia" in the early 1900s to hide their misdeeds and to ensure that the world – the host government, protective forces, academia and media – would never articulate their atrocities out of fear of humiliation, so that the Islamists could seize control without having to reveal their true nature. We have nevertheless come to understand much about their modus operandi, due to extensive research and reporting by psychoanalyst and counter-terrorism expert, Nancy Hartevelt Kobrin. The jihadi's accusations against others are an effort to separate themselves (splitting their persona) from their criminality, and to project onto others the terrors they acquired from their childhood. Sarsour plumbed the depths of envious loathing when she admonished her co-religionists to not "humanize" Jews, ironically using a term that perfectly defines the differences between Judaism and Islam. It was Jews, some two thousand years before Islam was invented, who brought humanity to the world through monotheism when the rest of humankind lived in lawlessness and chaos. It is expressed in Hillel's expression of the ethic of reciprocity or "Golden Rule," "That which is hateful to you, do not do to your fellow. That is the whole Torah: the rest is the explanation; go and learn." This is embodied today, through the Israeli IDF medics and the civilian social workers who rush to volunteer in earthquake zones, at terrorist attack sites, and in the aftermath of natural disasters like tsunamis and floods. It is seen as Israel brings her unparalleled expertise in water technology to arid countries, helping Africans grow their own food, start schools for their children, and become self-sustaining. And it is seen as Israel's Basic Law: Human dignity and Liberty, which guarantee, among others, the right of all to basic dignity. These are the people that Sarsour consider dehumanized, imitating the Nazis in the 1930s. Where Judaism is empowered by moral purpose, the dignity of man and the sanctity of free will, Islam is driven by fear, vengeance, greed, and conquest, enforced by prayers issued five times daily, and dedication to an oppressive god. Within Islam, a man may decapitate the apostate, homosexual and intellectual; flog and imprison the woman who is raped; stone his wife for accusations of adultery; sell his young daughter into marriage with a sexual predator; and take up to four underage girls into the modernized, legalized slave harem, renamed "marriage." Under Islam, girls may be deprived of schooling and hospitalization, and such funding, along with what is earmarked for research and laboratories, is more likely used to build mosques and support terrorism. Nearly 40% of the Islamic world, mostly women of the hundreds of millions of illiterates of the OIC (Organization of Islamic Cooperation), can neither read nor write. Under Islam, the female is so cruelly undervalued that her offspring become the severely emotionally disturbed jihadi terrorists. These Palestinian children are exploited and trained to be fighters and suicide bombers and a recent study revealed that more teenagers are eager to take on terror attacks for suicidal greatness and glory. Sarsour's use of "humanity" may be explained as a trait that was never permitted to emerge. It may be defined as "projection," a defense mechanism, whereby the hostile traits of the speaker are attributed to another. It allows the accuser to project (transfer) the responsibility for her people's faults and misdeeds on the other. It permits the Muslim to be cleared of the guilt, the toxic chaos, the blood, guts, explosives, and suicides that keep the jihadi in his (or her) maternal attachment. This is the culture that Linda "we will not assimilate" Sarsour would impose upon America. Of all the attributions noted by Sarsour, choosing "humanity/humanizing" is a textbook case because she knows, at least psychologically, that the Jews and Israelis are particularly motivated by moral purpose, so she paints them as the reverse. But she is a product of her upbringing and history, and honor-bound to carry forth the mindset of lies, abuse, torture and extermination for which Islam is known. There is not a modicum of evidence to show any difference between Islam's horrific past and Islam today. Contributions to this post by Kevin O'Neil.